Why are we drawn to the ocean each summer? Why does being near water set our minds and bodies at ease? 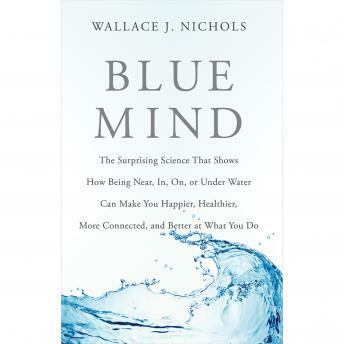 In BLUE MIND, Wallace J. Nichols revolutionizes how we think about these questions, revealing the remarkable truth about the benefits of being in, on, under, or simply near water. Combining cutting-edge neuroscience with compelling personal stories from top athletes, leading scientists, military veterans, and gifted artists, he shows how proximity to water can improve performance, increase calm, diminish anxiety, and increase professional success. BLUE MIND not only illustrates the crucial importance of our connection to water-it provides a paradigm shifting 'blueprint' for a better life on this Blue Marble we call home.